In a movie universe full of super-powered humans and aliens, Doctor Strange brings in a new aspect to the Marvel movie universe. Doctor Strange introduces the world of magic and mysticism. The story of Doctor Stephen Strange could be your story. Or even my story. One where we have a skill and we center our lives around that skill. But what happens when we are no longer able to use what we feel we were created for? That’s where Doctor Strange found himself after a violent car accident left him unable to use his hands. His days as a skilled surgeon were over. What am I relying on? WHO am I believing in? What would I do if I could no longer use the skills I’ve honed? What’s out there that I’m not seeing? A lot of the questions raised revolve around faith. I believe that is because screenwriter Scott Derrickson is a fellow Christian. He believes there’s more to the world and the creator of it wants to show us this truth. Much like Lord Of The Rings or The Lion, The Witch, And The Wardrobe, Scott Derrickson uses the mythos of Doctor Strange to share Biblical truths in a non-conventional way. 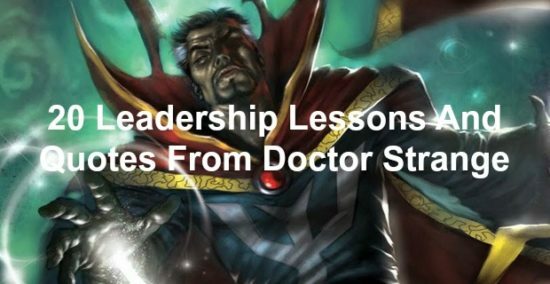 Not only can you find Biblical messages within Doctor Strange, you can find leadership lessons. Stephen Strange had an ego. He believed he could fix damaged people. And, to an extent, he could. He took on hopeless cases and gave people back their lives. He knew who and what he could fix. Anything else, he would pass on. Do you know what you’re good at? Find your strength and work it. What was one of Doctor Strange’s biggest strengths, he knew what he could do well, was also one of his greatest weaknesses. He felt like his skills made him the center of attention. And that led to everything being about him. He was the one who could fix people. He was the one people ran to when they needed help. He was the go-to man. That made him focus on his own well-being rather than being other-focused. Don’t be like Doctor Strange at the beginning of the movie. Instead, serve and love others. It’s okay. It’s going to be okay. That’s one thing great leaders try to do for their team. Great leaders reassure their team that they can make it. Things will get better. And they can move on. Doctor Strange had made his career and title of Doctor his life’s meaning. When the car accident took that away from him, he felt there was no meaning to his life. Palmer saw it differently. She knew life would move on and he could still do amazing work. When life throws you a curve ball, don’t sit around and pout. Rather, find what new area you can move into that will use the skills and abilities you’ve learned in a new way. As Christine was trying to console Doctor Strange, he blew up on her. He said unkind words and told her to leave. He was in pain and he lashed out. His frustration was taken out on another person. Sadly, that’s how many of us will react when we’re in pain. We will attack the ones closest to us and drive them away. I’ve done that. Even though I know this isn’t the right course of action. Instead of lashing out at others, remember they’re trying to help. Their words may not heal you but they’re not attacking you either. Don’t attack them. Doctor Strange heard that a patient, Jonathon Pangborn, he’d turned away was now able to walk. He was compelled to hunt this man down and find out how he was healed. Upon finding the Pangborn, he saw the truth: He was able to walk. However, he also learned that Pangborn could have had a much greater power. Yet he settled for the ability to walk. Are you settling for something less than you could be? Think long and hard. Then make the change. When Doctor Strange encountered Mordo, Mordo gave strange a great piece of advice. He wasn’t the first to walk this path. And he wouldn’t be the last. Don’t think you’re alone in your leadership. You’re not the first to be in your position. You won’t be the last. Doctor Strange learned that there was a sorcerer called The Ancient One. He saw a man and called out to him. Only to find out he wasn’t the ancient one. He then moved onto another man. He wasn’t the one he was looking for either. Finally, a bald woman told him she was the Ancient One. Doctor Strange had a preconceived notion of what the ancient one would look like. He was wrong. You may have an idea in your head of what a real leader looks like. Don’t be fooled by looks. You may be passing up your successor. It blew me away when the Ancient One uttered these words to Doctor Strange. This man who was full of pride and ego was being told he didn’t think highly of himself. Why did this touch me? Because I believe I think too little of myself. I often carry self-doubt and belittle myself. You may too. Now that we’ve heard the truth, we can begin to think a little more of ourselves. The world is a big place. It’s been around for a long time. And you’ve only had a short time on this earth. 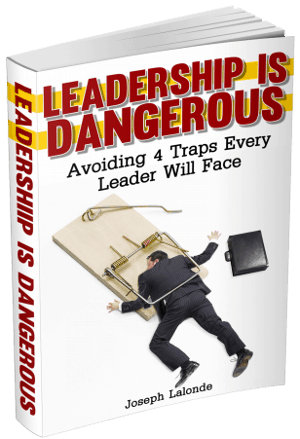 You won’t know everything there is to know about leadership, or life for that matter. There’s a lot we won’t know til we cross over to the other side. Don’t let that stop you though. You can lead without knowing everything. Great leaders know that they don’t know everything. They need to be taught. Doctor Strange came to this realization and asked to be taught. Are you open to being a student? The main protagonist in Doctor Strange, Kaecilius, was a former sorcery student of the Ancient One. He turned from their training and went to the dark side. Be aware that not all those you lead will live a good life. Many will choose a path that you wouldn’t want for them. You can’t correct their course. Only they can. The Ancient One decided to turn Doctor Strange away. He wasn’t ready and she didn’t want to teach him. However, he stayed at her door and knocked. And knocked. And knocked. Hours passed, and he persisted in calling out for training. This reminds me of a section from the book Moving Mountains by John Eldredge. He shares how we often lack persistence in prayer. We’ll pray once and be done. That doesn’t always get the job done. We have to be persistent in what we do, whether that’s organizational change or prayer. Doctor Strange’s story isn’t about his hands. It’s about his journey to become a sorcerer supreme. Yet his original focus was on healing his hands. He NEEDED, no… he LONGED for his hands to be made whole again. But that wasn’t the purpose of his journey. He had so much more in store. What’s your focus? Do you believe you’re focused on the right things? If you aren’t, you’re missing out. Our egos get in the way of our true power. When we make it about ourselves or what we can do, we can only go so far. When we begin to focus on others, things begin to move. As a man of faith and a leader, this one is a bit tricky. We’re called to help those in need. Still, I wonder how many people we rob of success when we step in too early. Mordo wanted to step in and help Doctor Strange after The Ancient One had left him on Mount Everest. Had Mordo stepped in, Doctor Strange wouldn’t have found his power. He wouldn’t have been able to rise to the greatness he had in himself. Be careful that you’re not robbing someone of their next success by stepping in too early. During his training, Doctor Strange wasn’t putting his all into it. He was holding back. Mordo saw this and challenged he to step up his game. He knew lax training would fail him when the true test came. Take your times of learning and training seriously. When it’s time, it will pay off if you put the work into it. In the Marvel Cinematic Universe, there’s now a mirror dimension. Beings can travel to this dimension to train or bend the world to their will without causing harm. Doctor Strange brought Kaecilius there thinking he could deal with him in that realm. What he didn’t realize was that this mirror dimension made Kaecilius stronger. He eventually realized this and admitted that he made a mistake. Are you willing to admit that you made a mistake? As you admit your mistake, you build up trust and respect among your team. Don’t act like you’re perfect. I loved this line by Mordo. He mentioned this to Doctor Strange as Strange broke the laws set before them. There’s a price to pay. Whether that’s for breaking the law or for leading others. We pay a price to have the honor and privilege of leading others. Realize the bill will come due one day. Much like Pangborn, Doctor Strange had a choice to make. Did he restore the use of his hands and return to his work as a surgeon or did he use the power he was given to help the whole world? That’s a big choice. One most of us wouldn’t want to have to make. But we do have a choice to make. And it’s very similar to the choice Doctor Strange had to make. Do you do the small work or the big work? Question: Have you seen Doctor Strange? If so, what leadership lessons did you take away from the movie? If not, what was your favorite leadership lesson from Doctor Strange that I shared? Talk about it in the comment section below.